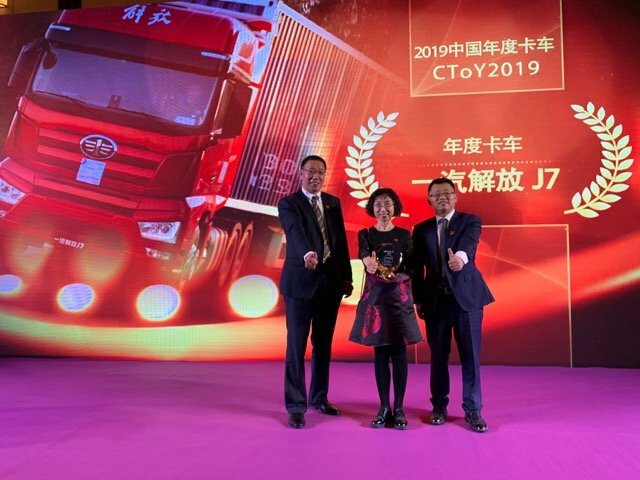 The FAW J7 has won the third edition of the Chinese Truck of the Year award (CToY). 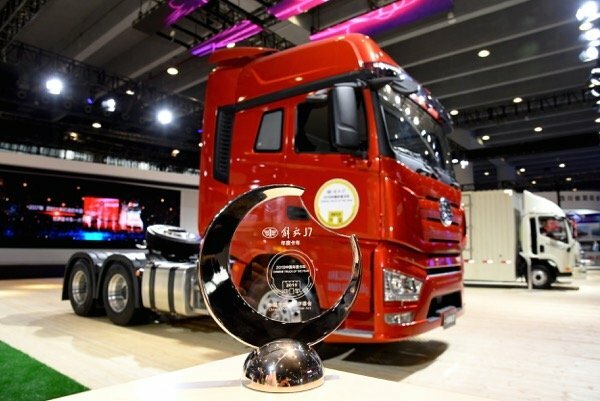 The award announcement and presentation ceremony was held in Guangzhou, during the China Commercial Vehicle Show. The organisation of the award programme is strategically linked to the International Truck of the Year Award. Technical specification of the 40 tonnes GVW FAW J7 6×4 tractor-unit designed by Italdesign Giugiaro in Turin includes: 12.52 litre, 6-cylinder in-line, 550hp, Euro 5 diesel, mated to a 12-speed manual geabox.